Page Parkes Model + Talent: Page Parkes Talent on ABC's new "My Generation"
Page Parkes Talent on ABC's new "My Generation"
Don't forget to catch My Generation on ABC as a documentary crew follows a disparate group of high schoolers from Greenbelt High School in Austin, TX as they prepare for graduation, then revisits these former classmates ten years later as they return home to rediscover that just because they're not where they planned doesn't mean they're not right where they need to be. 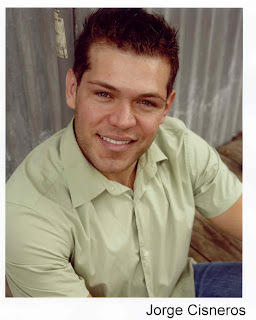 Page Parkes Talent Jorge Cisneros has been cast for three episodes and we are so excited for him! Be sure to tune in! !